Yesterday, the U.S.-China Economic and Security Review Commission released the second report prepared for it by Northrop Grumman on Chinese cyber capabilities. 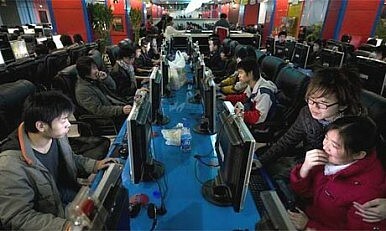 As numerous press reports noted, Occupying the Information High Ground argues that China’s improving cyber capabilities pose a threat to the United States military, that China could target U.S. logistic and transport networks in the case of a regional conflict, and that Chinese IT companies ZTE, Datang, and Huawei all have close collaborative ties with the People’s Liberation Army (PLA). The report does a good job of bringing a great deal of Chinese-language and open-source information together, and is especially useful in laying out how information security research is funded in and conducted by military and civilian universities. Much of the discussion, however, about how China thinks about computer network operations, the growing links between defense and civilian industries, and the threats to the supply chain has been done before (James Mulvenon is particularly good on Chinese thinking about seizing the information advantage and the “digital triangle”; Tai Ming Cheung’s Fortifying China is an exhaustive study of China’s efforts to build a dual-use industrial base; and CFR held a workshop on some of the vulnerabilities that stem from sourcing hardware and software from all over the world in January 2011). Third, as most of the writings cited in the report demonstrate, we know a lot more about Chinese thinking at the tactical level and much less about how the central leadership understands the political or strategic implications of a cyber-attack on U.S. interests, especially one on critical infrastructure. The report notes that “the decision to move beyond strictly military targets for network attack operations would likely be made at the highest levels of China’s military and political leadership because of the recognized dangers of escalation that such a move presents.” How certain can leaders on either side of the Pacific be that it’s possible to limit network attacks to “strictly military targets”? If the strategic is always a possibility in the tactical, then we need better insight into what central leaders in Zhongnanhai understand about and expect from cyber operations. As I argue in my recent Foreign Affairs article, Chinese Computer Games, raising the costs and calling the perpetrators out is part of a strategy that will include bilateral and multilateral discussions on rules of the road for cyber, capacity-building, deterrence through denial, and possibly trade or other sanctions. Even using all these policy tools, it’s going to take a long time; Chinese-based cyberattacks won’t disappear anytime soon.